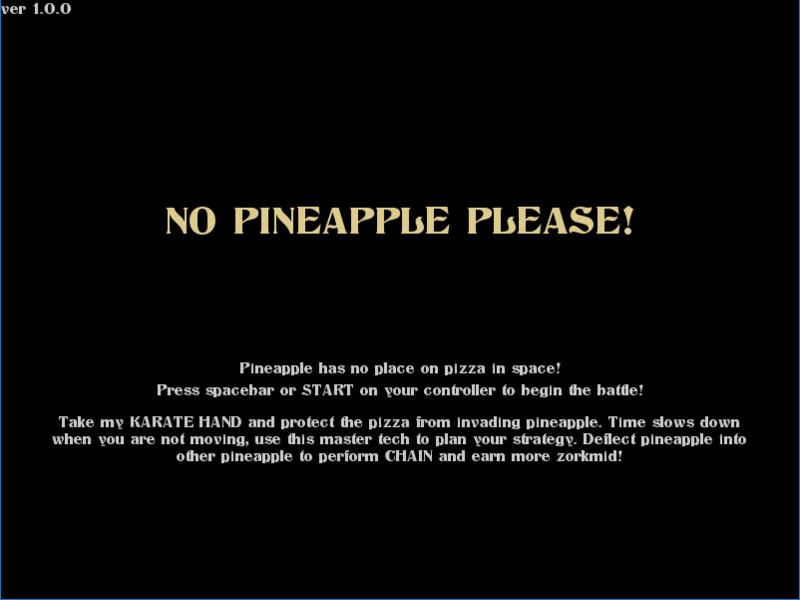 An ole simple idea, but the subtle little improvements (varying pineapple angle and speed, chains, moving pizza, slow motion) make it stand out. Though the slow motion makes it different, not necessarily better than fast-paced action. 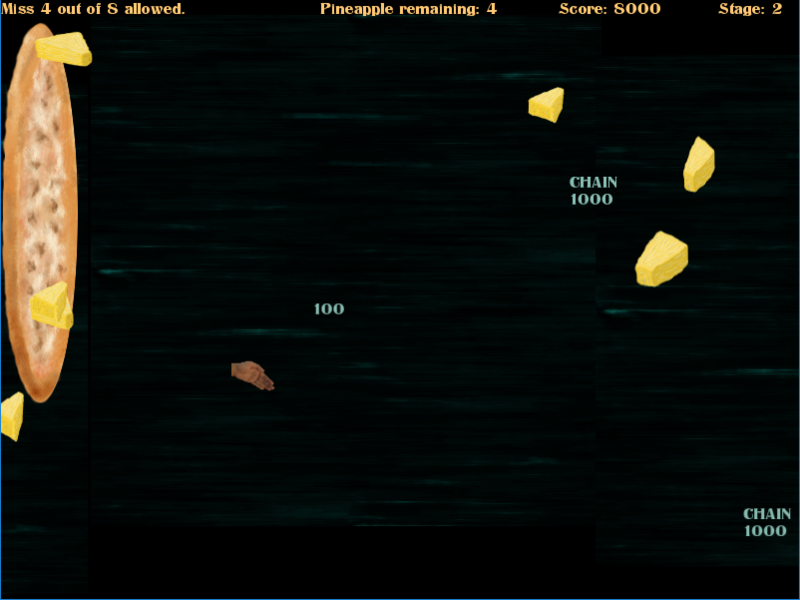 I really loved the scoring and the chaining system. Add to that the karate hand and you have a really fun game ! Funny game. Funny idea. Funny sounds. Fun idea, I like the slow motion effect. As @Sir_Silver said it crashes at the beginning. I found out you can't play on the keyboard if you don't have at least one joystick connected. So I played with my PS4 controller. It crashes immediately for me when I try to launch it. 311: Attempt to index joystick a nil value. thanks i will fix it!